Comment: This text tells us of Wisdom’s presence alongside God at creation, rejoicing and delighting in all that God made. As you read this text with the children of your church, sit and wonder what Wisdom might have to teach us about the way we look at God’s creation. Care for Our World is an invitation to care for the earth and all of the plants and creatures that inhabit it. 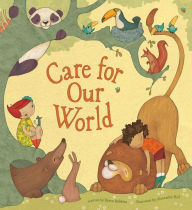 The illustrations help readers understand that caring for and delighting in creation go hand in hand. Share this story with your congregation as an invitation to follow Wisdom’s example, rejoicing and delighting in God’s creation. Comment: Honestly, I struggle with this short text. News from around the world, my country, my city, and my neighborhood is full of suffering. I don’t want to boast or rejoice in suffering. That doesn’t make sense to me. What does make sense to me is a vision of a world without suffering, a hope for God’s Kingdom to come on earth as it is in Heaven. 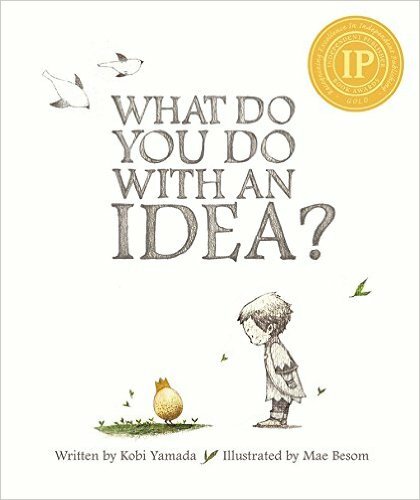 What Do You Do With An Idea a child carries his idea through high and low parts of his life until eventually he watches it change the world. May we, like the child, hold onto our hope, trusting that the triune God who created us, reconciles us, and sustains us is at work to make all things new. Comment: “When the Spirit of truth comes, he will guide you into all the truth… He will glorify me, because he will take what is mine and declare it to you.” In The Patchwork Path, Hannah’s Mama helps her sew a patchwork quilt and teaches her the language of the quilt square patterns. After Mama dies, the quilt guides Hannah and Papa on their journey to freedom. Although she was afraid, Hannah trusted her quilt’s guidance because its truths were shared from her parents, whom she trusted. Even when we are afraid, may our trust in Jesus lead us to trust the Spirit he sent so that we, like Hannah, may step boldly on the paths illumined by our guide. We welcome back Union Presbyterian Seminary alumna Noell Rathbun-Cook as our Lectionary Links writer this week. Lectionary Links: Trinity Sunday, May 22, 2016 by Storypath is licensed under a Creative Commons Attribution-NonCommercial 4.0 International License.